To identify the possible risk factors and negative outcomes associated with parental alcoholism. A secondary aim was to determine the influence of the family density of alcoholism on children of alcoholics’ (COAs) psychological functioning. A multisite epidemiological study was conducted in 8 Spanish cities, recruiting a total sample of 371 COAs (whose parents were in contact with alcohol treatment centers and accepted to participate in this study) and 147 controls (from schools in the same localities as COAs). Both groups were 6–17 years old and received a comprehensive evaluation of mental disorders (no symptoms, subclinical symptoms or clinical diagnosis for each disorder; according to DSM-IV criteria); alcohol and other substance use (none, occasional, regular and risky consumption); school achievement (low, middle and high) and other academic performance indicators (WISC-R Information and Arithmetic subtests, school support activities and failed subjects and courses). Lastly, several cognitive functions were measured by the WISC-R Similarities, Block Design and Digit Symbol subtests, the Toulouse-Piéron test and the Stroop test. Logistic regression methods were used to compare both groups and a linear regression model was used to determine the influence of the family density of alcoholism. The following confounding variables were controlled for: age, gender, socio-economic status and family cohesion. Children of alcoholics’ were twice as likely as controls to present subclinical symptoms and four times more likely than controls to have a definite diagnosis of any mental disorder. More specifically, COAs had a significantly higher risk than controls of attention deficit disorder/hyperactivity, depression, phobias, enuresis and tics. COAs also tended to have more symptoms of generalized anxiety disorder. COAs had worse results on all the cognitive tests used and their risk of low school achievement was nine times higher than that of controls. Family density of alcoholism was significantly related to several psychiatric disorders and to low academic and cognitive performance in these children. 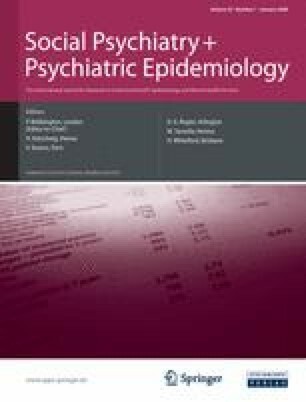 Children of alcoholics’ whose parents are in contact with treatment centers in Spain constitute a target group for selective prevention, as they have a higher risk of different negative outcomes, which mainly include attention disorders and other cognitive deficits, depression and anxiety. This article and the Socidrogalcohol’s ALFIL Program were supported by the Spanish Government’s National Plan on Drugs. We thank the European Commission for funding ENCARE: the European Network for Children Affected by Risky Environments in the Family (Alcohol-related issues). The ALFIL Program has been integrated into this network (grant agreement SPC 2002481). We are grateful for the contribution to this study made by all the professionals, children and families who participated in the ALFIL Program. Special thanks to Roser Bono and Josefina Castro-Fornieles for her valuable review of the manuscript of this paper and to Lourdes Serrano for her help with the database.